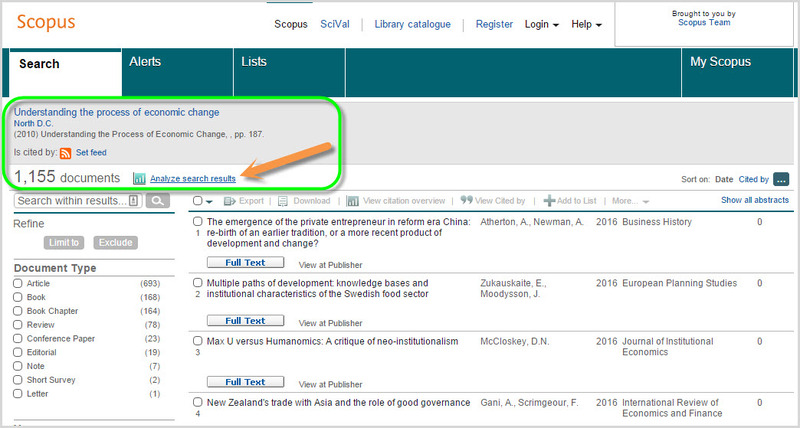 Once you isolate a book that both relevant to your research and well cited, click on the cited by number. 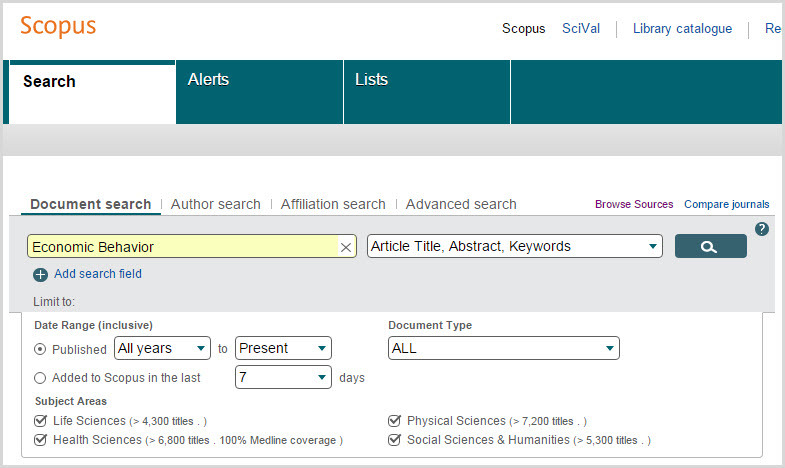 This lists all content citing the book, including journal articles, books, conference papers, and more. Each grouping provides a unique and powerful way of understanding your results. 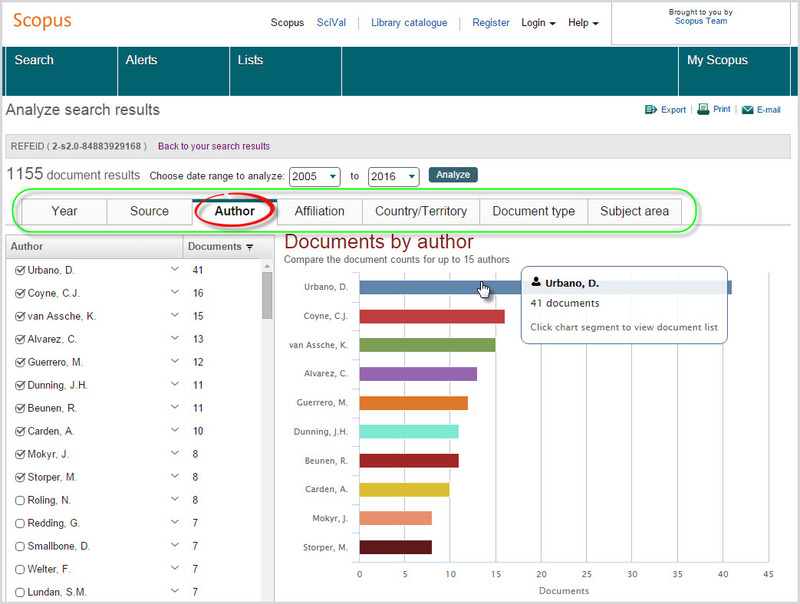 For example, click on the <Author> tab to identify who is researching in this area, and what they are publishing. These might be people you want to follow, or possibly collaborate with. Or, click on <Sources> to find leading journals in your area of interest. 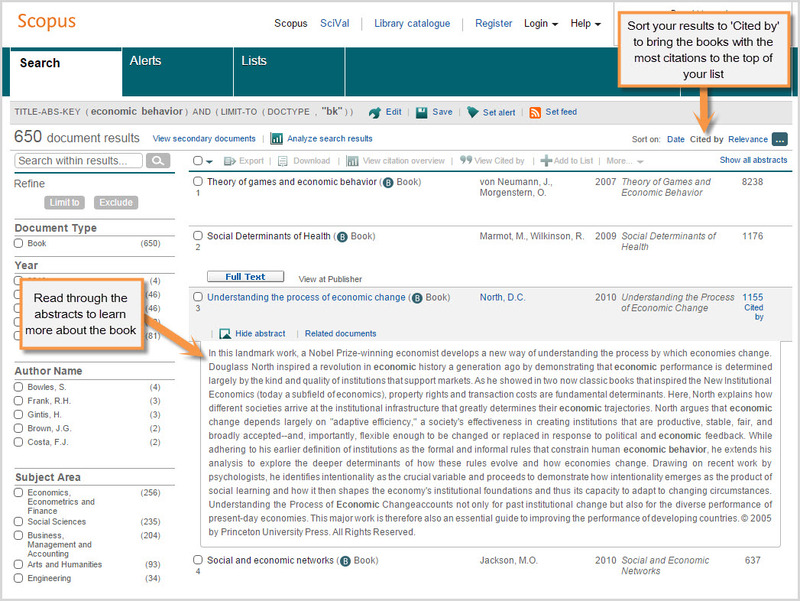 As you browse through the charts, notice that you can also click on an author's name to further investigate their research impact; compare and analyze a group of journals in the <Sources> tab based on different metrics like SNIP or Impact per Paper; link to key historical content from the <Year> tab, and much more. 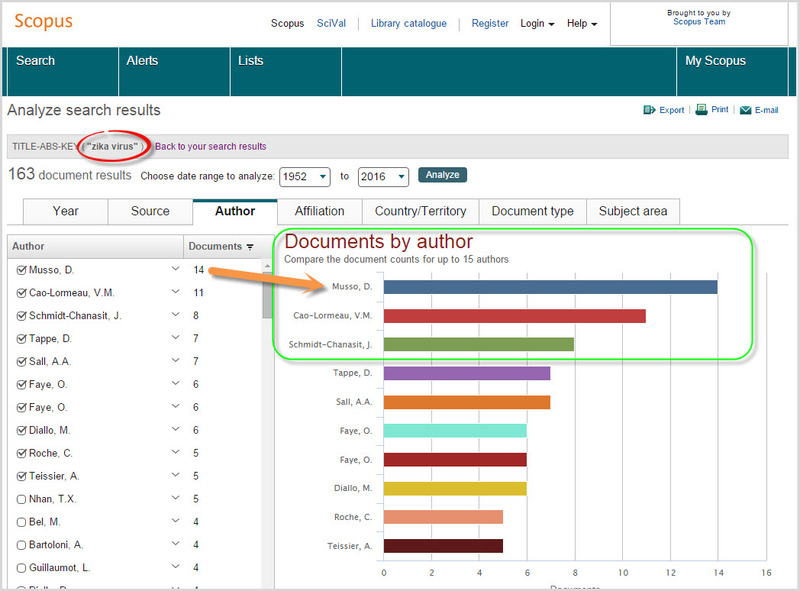 This is just one example of how to use the <Analyze results tool>, there numerous ways you can use it to help identify key research insights. For example, the visual charts can also help you quickly analyze a current or trending topic like Zika virus. Here you might begin your search for “Zika virus” and then, rather than filtering by <Book>, click directly on the <Analyze search results> link from your search results and begin browsing the charts. 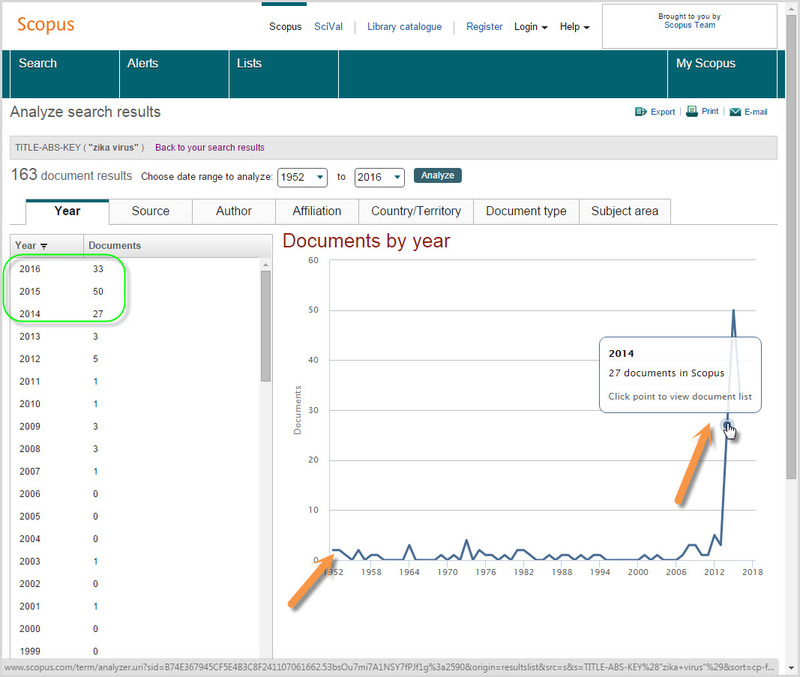 Looking at the <Year> chart can provide important insights into the publication history and trending behavior of "Zika virus" research, and link you to important historical, recent and developing research; and, the <Author>’ tab can help you assess who is leading the "Zika virus" research effort.